Listen to the audio of our band, and check out our song list. 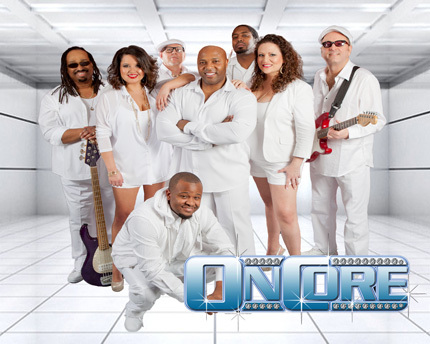 Oncore is the best dance band, party band, cover band, and wedding band to offer ‘live music’ entertainment. They provide high-end music entertainment solutions for special events, major corporations, private clients, chic clubs and after hours. Their many years of experience have catapulted them to the top of the entertainment landscape throughout the United States and abroad. Oncore is a seasoned group of passionate entertainers with more than 500 songs in their repertoire, providing your guests and clients with the most memorable entertainment experience. Providing unforgettable memories is what Oncore does best. Just ask their long list of extremely satisfied clients.